Living in the hamlets of Bedford gives residents the opportunity to live in the peaceful surrounds of the country while enjoying access to all the conveniences of The City. The historic town has a long history dating back to the 17th century, and many of the houses and structures in Bedford are over a hundred years old. While living in an older building feels great, one disadvantage is their susceptibility to temperature changes, and the costs associated with temperature regulation. In the past, insulating an older building was a difficult process, but with new technologies it is now possible to enjoy a superior form of home insulation that will improve your life, regardless of the age of your home. 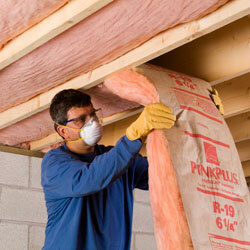 It is possible to install insulation throughout your home, not just living areas. This can give a range of benefits. It is often the case for older buildings that heat is lost in overlooked parts of the structure. Insulation in the attic is a must, as without it can become the hottest part of your home in summer, and the coldest in winter, and this can affect the rest of the building, due to the fact heat rises and insulation can prevent the attic from causing excessive heat transfer. Floors and basements can also be a source of heat loss, up to 15% if they are not insulated. Much the same is true for working spaces like garages as well. 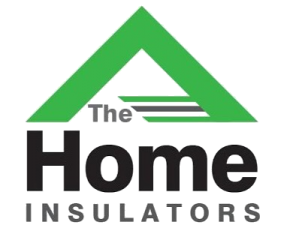 TheHomeInsulators.com is the number one choice for home insulation in Bedford, as we bring years of experience and some of the most advanced insulation technology available on the market. 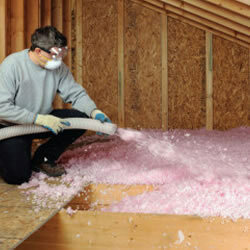 Insulation is the best way to regulate heat in your home in both the winter and the summer. Without insulation, you will lose hard earned money and cause unnecessary damage to the environment through heating and cooling. Instead of spending all that money on air conditioning and heating, you could install insulation and save up to 40% on your heating and cooling bills. Many are reluctant to pay the expensive installation costs, but the fact is that over just four to six years insulation pays itself off through energy savings. Classic blanket batts and rolls made from materials like glass wool, polyester, natural wool or recycled paper are very common, and are often celebrated as inexpensive and great for a DIY job. But they don’t offer the same degree of maximum thermal performance, or R-value, that is offered by other varieties of insulation. Blanket batts and rolls can even drop in effectiveness by up to 50% if they are not correctly installed. Some forms of batt and roll insulation are associated with dust build up, which can cause health problems, even lung cancer. Another classic variety of insulation is known as loose fill insulation, and it consists of fluffy strains of fiber blown into attics and walls to fill each nook and cranny. 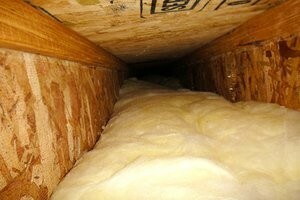 However, this form of insulation loses a lot of its efficiency when the temperatures drop very low. Meanwhile, structural insulated panel insulation can insulate entire wall surfaces, as well as enjoying superior energy efficiency. It must be cut and shaped around pipes and structural obstructions. Structural insulated panel insulation can even be chewed through by burrowing insects, it can act as a moisture barrier, and is more expensive. 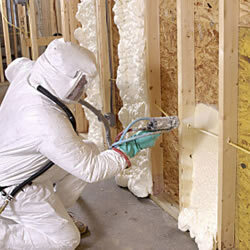 Spray foam insulation is beyond a doubt the best form of home insulation. Spray foam insulation is a form of insulation creating a complete seal to air flow, while acting as a superior thermal barrier. It is also extremely effectively at blocking out outside noises and pests. 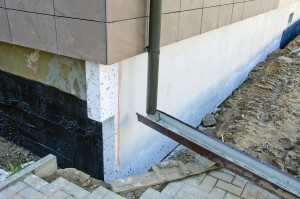 It is installed by spraying foam through a specialized nozzle into wall cavities, where the spray foam rapidly expands to fill every nook and cranny. You can completely insulate every wall cavity while sealing them against cold air and wind all at the same time. 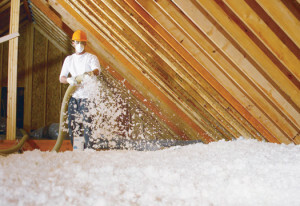 Once upon a time, only new homes could benefit from the superiority of spray foam insulation. But today developing technology has created varieties of non-expanding high R-value spray foam insulation which also be installed in older homes even if they have pre-installed insulation. There’s no longer any need to break holes or tear down your walls to upgrade your insulation. 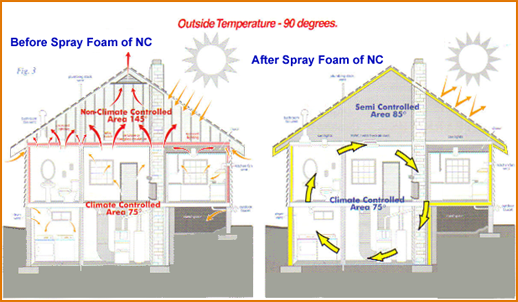 Spray foam insulation dramatically reduces your energy bills by reducing your cooling and heating costs. It will not biodegrade, sag, settle or shrink over time, at least not for decades to come. It is a low risk in case of house fires, and can even strengthen the structure of your home itself, increasing its resale value. While some simple forms of spray foam insulation are available for DIY jobs, for the most part spray foam insulation is a professional job requiring expert skills. Whatever job you need: crawl spaces, walls, attics, basements, garages, or your entire home, our experienced team of insulation professionals is ready to help you. 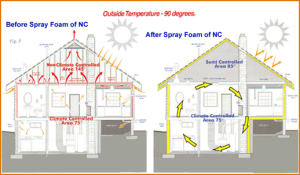 We can show you how to save money with spray foam insulation. Email or call us today to get a free estimate, and we’ll tell you how much you can save.